Despite lower overall sales and listings, Toronto’s residential real estate market continued to experience price growth, with a 3.5% year-over-year increase (up to $788,345) in November. 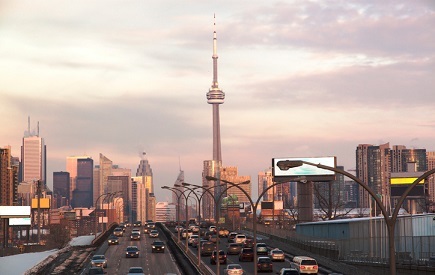 With sales activity shrinking by 14.7% and new listings falling by 26.1% during the same time frame, the situation implies a further vicious cycle in the very near future, Toronto Real Estate Board president Garry Bhaura warned in a recent piece for Toronto.com. “These numbers reflect a tighter marketplace, which will translate into increasing competition between buyers and also likely provide the foundation for renewed price growth,” Bhaura wrote. More importantly, whatever kind of additional housing and how much of these are built will impact affordability only when location is also taken into account. “Not only is it important to build more housing, it’s important to consider the kind of housing we build and where it’s built in relation to access to transportation alternatives,” Bhaura stated. And federal mortgage regulations introduced earlier this year are now proving to be more of a hindrance than a helpful feature. The TREB urged provincial authorities to consider the interplay of all these factors in policy decisions – decisions that will ultimately either ensure or preclude long-term market stability. “Specifically, we must focus on producing an adequate supply and appropriate mix of housing types, where ‘missing middle’ housing (home types that bridge the gap between a detached home and a condo) and transit supportive housing developments should be priorities,” Bhaura concluded.